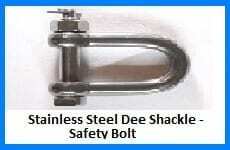 Stainless steel shackles are a speciality here at Rope Services Direct. They serve as a perfect accompaniment to stainless steel wire rope to create the perfect wire rope assembly for your operation. 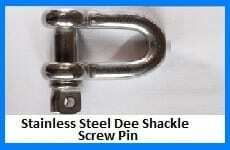 Stainless steel is one of the most resistant metals around. The addition of chromium during the manufacturing process creates a chromium oxide film on the finished product; it is this which gives stainless steel its high resistance. 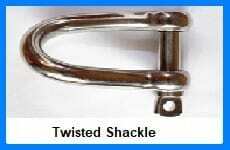 Stainless steel shackles have high corrosion resistance and are popular throughout the marine industry and aviation industries as well as oil and gas. Stainless steel shackles are strong, resilient and versatile and it is because of this that it has become an important piece of equipment in many industries. Stainless steel shackles also boast a more pleasing appearance than the galvanized steel version making them ideal for use in more architectural applications. 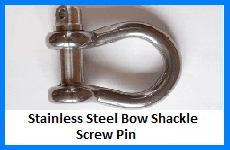 Yacht rigging, stair balustrades, decking and other barriers are all common places where you may see a stainless steel shackle, though they are used in a vast array of areas. 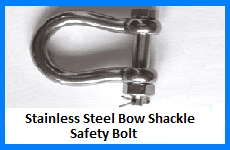 Stainless steel shackles may cost a little more but they are strong and highly corrosive resistant and so have a key advantage over normal steel. 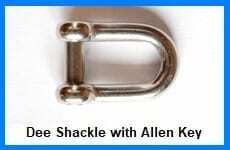 There are a wide variety of stainless steel shackles on the market, many of which you can purchase from Rope Services Direct at extremely competitive prices. 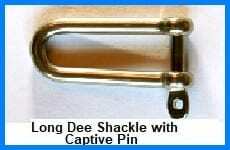 Dee shackles and Bow shackles are available with either a screw pin or a safety bolt and can be supplied as tested or untested versions. 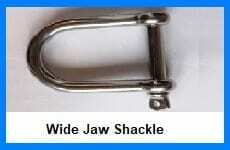 Other stainless steel shackles available include wide jaw shackles, strip steel shackles, twisted shackles, long shackles and shackles with Allen pins and also captive pins. View our range by clicking on the categories above to find out much more about each item. We sell many other types of stainless steel fittings, particularly the type that work well with our stainless wire rope. Making up a specific rope with your choice of fitting is no problem for our team as we have our own workshop with specialist machinery, including press machines. No job is too small! If you need more information, help or advice on our stainless steel shackles or any other product please give our team a call on 01384 78004, we can usually help. If you know exactly what you want then you can let us know by email, you can do this by using the contact us page here, or by the flashing rapid enquiry form button. 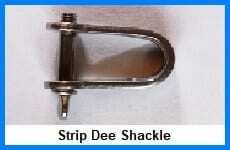 Stainless Steel Shackles Overall rating: 5 out of 5 based on 6 reviews.